« Carol Rizzo of Ocean Grove: New Neptune Mayor. 2019. 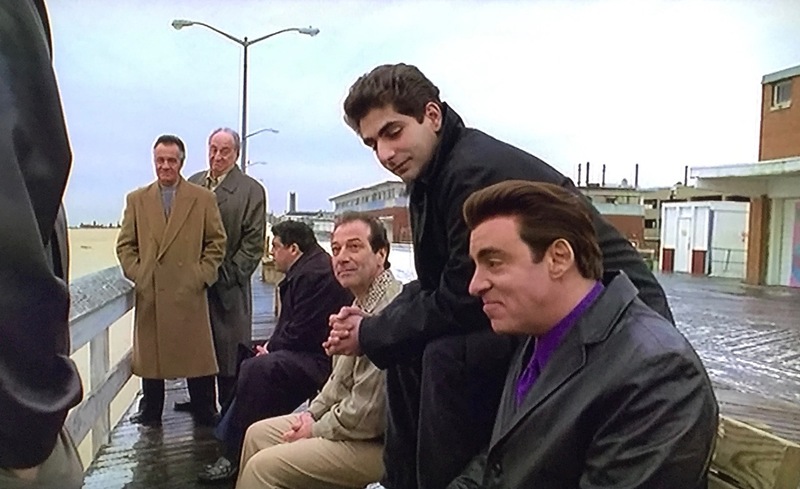 Is it the Sopranos I see or only Asbury Park? Tony Soprano on the Boardwalk in Asbury Park, NJ. c. 2000. All photos by Paul Goldfinger taken from the TV. By Paul Goldfinger, Editor @Blogfinger.net. from our series on the Sopranos at the Jersey Shore. 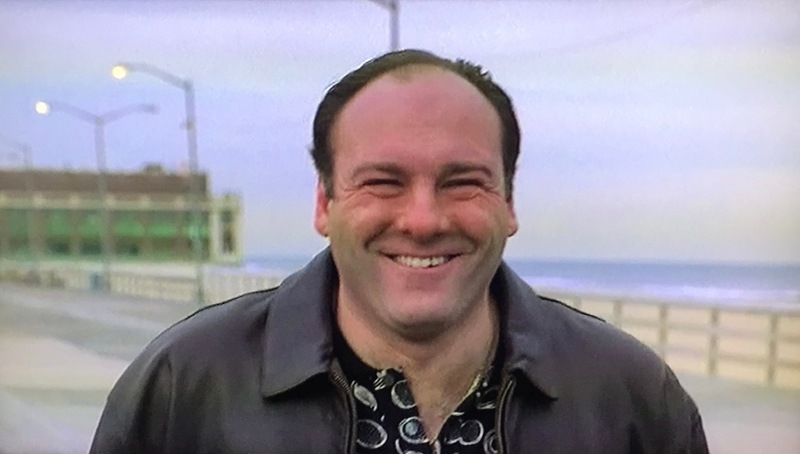 Late in the second season of the Sopranos, Tony is having nightmares. He is under the care of Dr. Jennifer Melfi, his shrink. The scenes on the Asbury Boardwalk portrayed a dream sequence with a talking fish over by Convention Hall. The weather that day in June was a rare spring snow storm. David Chase created the series which had six seasons and 86 episodes, and it ended in 2007. 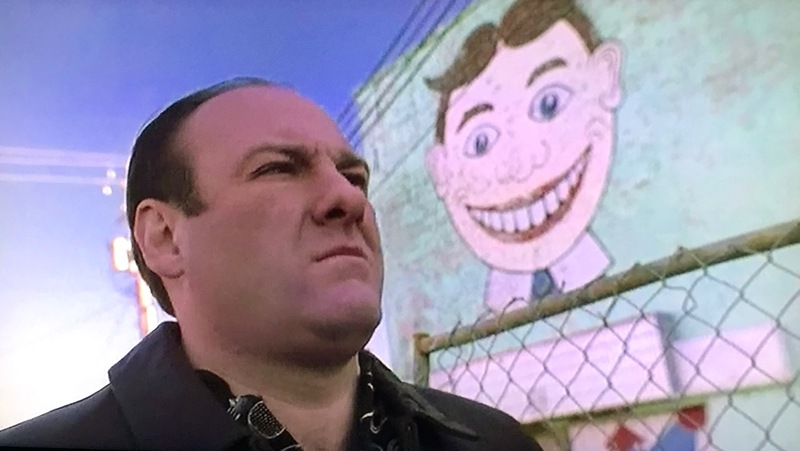 There were over 500 New Jersey locations during the Soprano years. Steven Van Zandt (Silvio) is an actor and musician from New Jersey and is a member of Springsteen’s E Street Band. Despite his name, he is Italian and he grew up in Middletown after the age of 7. Perhaps he had something to do with the Asbury location. James Gandolfini portrayed Tony Soprano. He was from Westwood, NJ, and he died in 2013 of a heart attack. Re-post from 2016. Interestingly the episode did not indicate in any way where this scene was set—–not even in the credits at the end. If you were watching from Nebraska you would have some cultural and geographic challenges. It’s fun to go back and watch that episode, though a little disappointing in terms of how short (and unidentified) the AP sequences are – we just happened to have watched this one a few weeks ago. Jennifer recalled it and pulled it up on the TV. What a strange trip! (dream sequences). My, how the AP boardwalk has changed.